Paying homage to iconic Scandinavian furniture, the Knap combines modern functionality with Mid-century form. 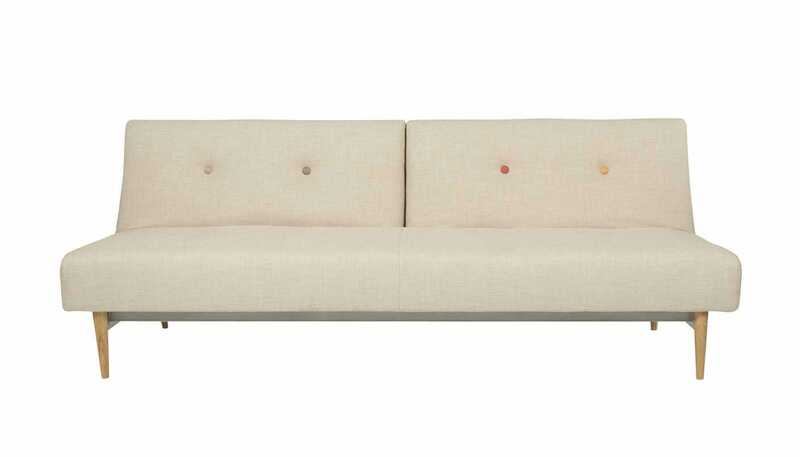 Designed in Denmark by Per Weiss, this versatile sofa bed is split into two adjustable parts that allow for a variety of positions including an upright sofa, gentle recline and flat daybed. It was broken from the start, it had a factor fault. Otherwise, it seems rather badly put together as well.